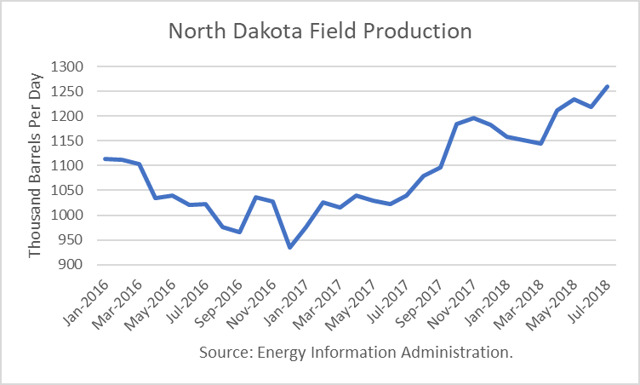 The Energy Information Administration reported that July crude oil production averaged 10.964 million barrels per day (mmbd), up 269,000 b/d from June. The surge was partly on the back of a rebound of 189,000 b/d in the Gulf of Mexico to a new record high of 1.849 mmbd. 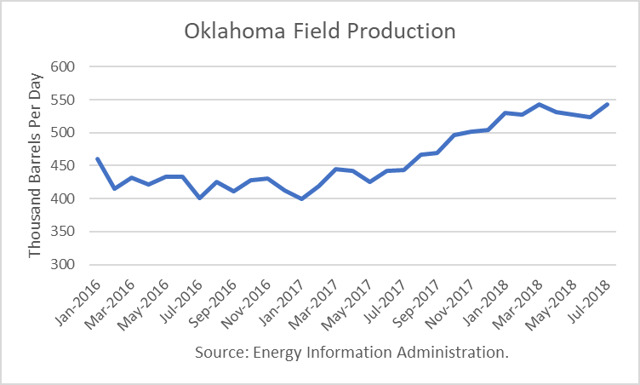 In addition, new record-high output was reached in four states: Texas (4.469), North Dakota (1.260), New Mexico (669,000) and Oklahoma (543,000). 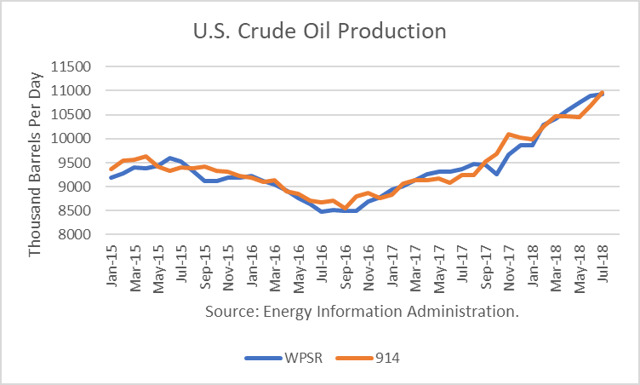 The EIA-914 Petroleum Supply Monthly (PSM) figure was 32,000 b/d higher than the weekly data reported by EIA in the Weekly Petroleum Supply Report (WPSR), averaged over the month, of 10.932 mmbd. 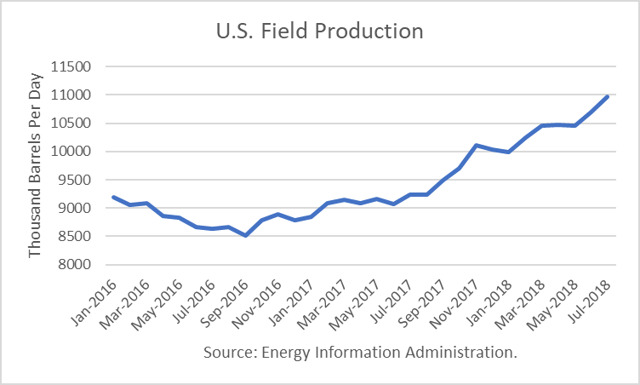 EIA has kept weekly production estimates essentially flat, as it apparently waited for the monthly survey numbers to catch-up, and now they have. 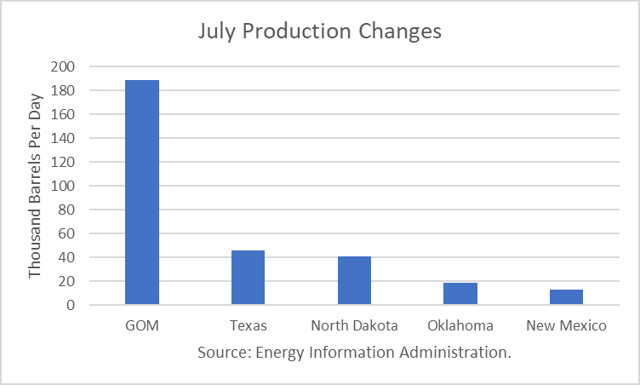 The July figure was a year-over-year gain of 1.734 mmbd. 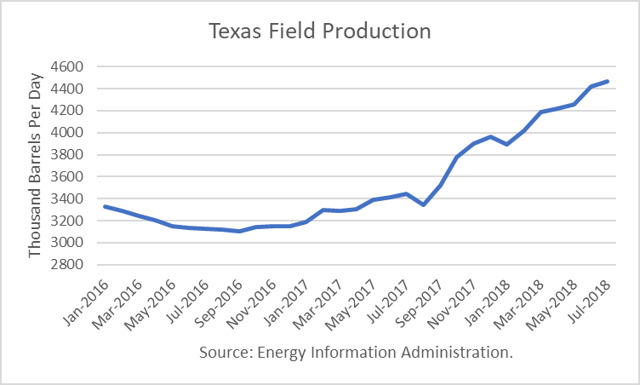 And the EIA Drilling Production Report estimates a 79,000 b/d gain for October. 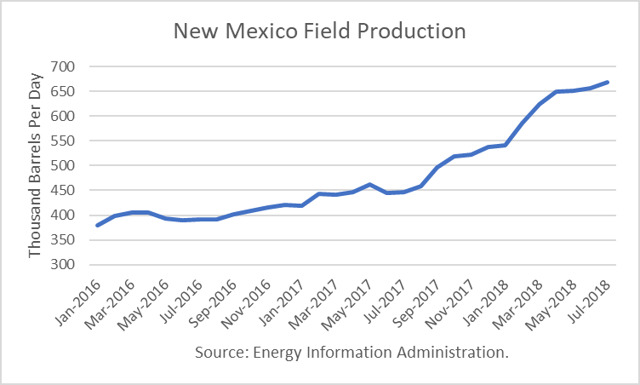 Looking further ahead, the EIA is projecting December 2018 output to rise to 11.160 mmbd, up 1.12 mmbd from December 2017. 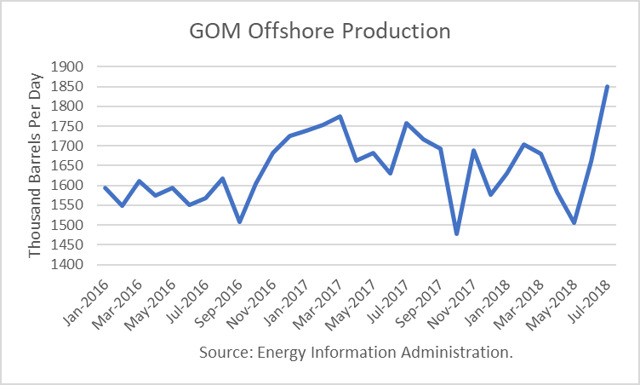 In addition, EIA projects that other supply (liquids) will rise to 6.87 mmbd, up 540,000 b/d from last December, for a total gain of 1.66 mmbd. 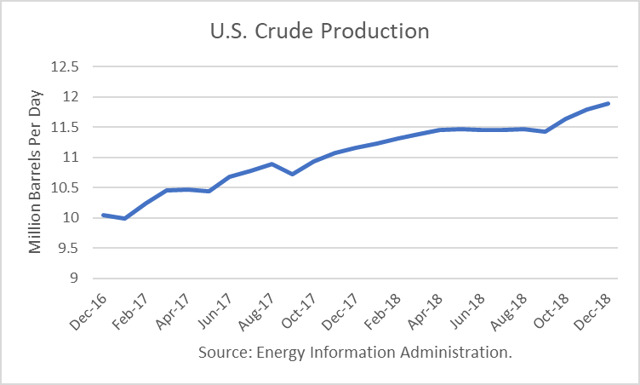 The annual rise in U.S. production of crude contributes to the non-OPEC production gain of about 2.4 mmbd in 2019. World crude demand is expected to rise about 1.4 mmbd, and so there could be an oversupply in 2019, depending on the net change in OPEC production. Saudi Arabia is expected to make up for Iran’s shortfall, and Venezuela may be able to stabilize production with the new $5 billion loan is secured from China. But the market will remain on edge until the new production changes are better known.